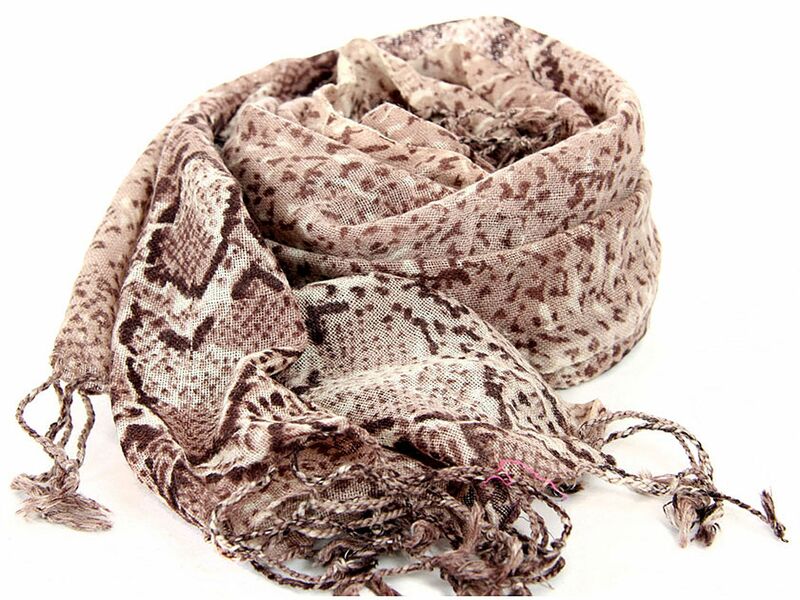 Wholesale Handbags #WJ-69 This lightweight & cozy light natural colored wool scarf is patterned with the trendy python print & twisted fringe decorates its edges. Imported. Dry clean only. This lightweight & cozy light natural colored wool scarf is patterned with the trendy python print & twisted fringe decorates its edges. Imported. Dry clean only.